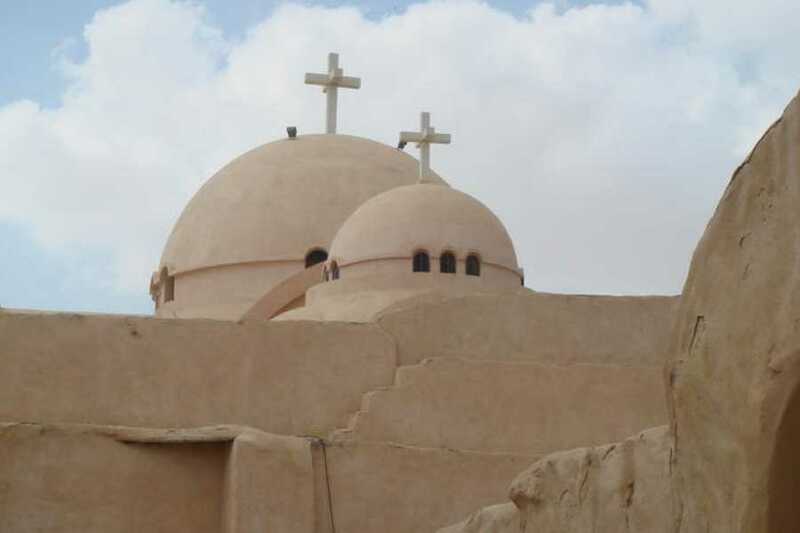 Visit the Coptic monasteries of Wadi El Natrun on a full-day, private tour from Alexandria, and explore Egypt’s fascinating Christian history with the convenience of a personal guide. Visit all four surviving monasteries, learn about the modern-day practices of Coptic monks, and have lunch at a local restaurant in Wadi El Natrun. This 12-hour tour includes entrance fees, lunch, and round-trip transport from your hotel in Alexandria. Start with 8am pickup at your hotel in Alexandria, then begin the 75-mile (120-km.) trip to Wadi El Natrun in a private vehicle. Of the 50 monasteries that once thrived at the edge of the Western Desert, only four remain, and the Wadi El Natrun monasteries are still an important place of pilgrimage for Egypt’s Coptic Christians. Make the first stop of the day at Deir al-Baramus, the oldest of the monasteries, which is surrounded by high fortifications that once sheltered the monks against desert raids by Berbers and Bedouins. Explore the sanctuary, keep, and refectories, where you’ll find colorful frescoes that date back to medieval times. Continue to Deir Anba Bishoi, a monastery with exquisite art and architecture that houses the remains of several important Coptic saints. Visit the five churches contained within the monastery walls, then head to a nearby local restaurant for lunch. In the afternoon, tour Wadi El Natrun’s two remaining Coptic monasteries, Deir Abu Maqar and Deir El-Suryani. Begin the return trip to Alexandria after your time at the monasteries, and pause for a photo stop at the Alexandria Library and The Citadel of Qaitbay. This 12-hour tour concludes with drop-off at your hotel.